There are some really nice items still looking for their humans – including an iPhone (6S+ ???) in a purple case. 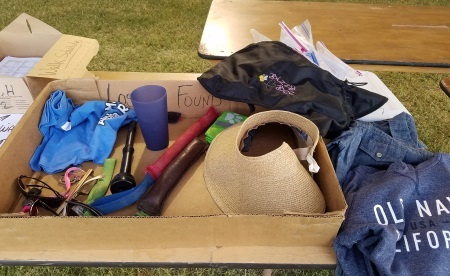 Please check the Lost & Found box in the Results Tent if you’re missing anything. If you think this is your phone, please come to the Scoring Tent.